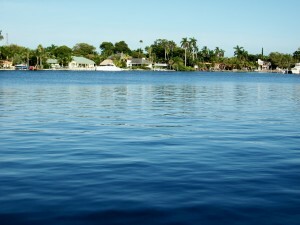 It really has been a gorgeous day in South Florida. It is still a little hotter than what they are used to this time of the year, but that does not prevent anyone from enjoying the outdoor activities that this town is known for. 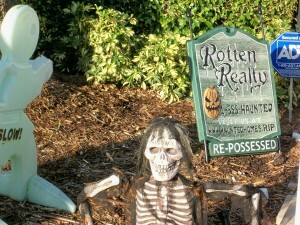 An early walk and the first thing I saw was a house decorated for Halloween and the tombstone struck me so funny that I had to take its picture. I could hear prayers near A1A which is the road along the beach. 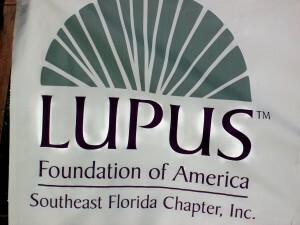 Well, the South Florida Lupus organization was about to start their walk. If you don’t know what Lupus is, let me tell you that it is a chronic inflammatory autoimmune disorder. These walks, whether is for breast cancer, heart disease and in this case Lupus, are to raise funds for awareness, help and research. I participated in a breast cancer walk early this summer and it was a very rewarding experience. There is nothing like the feeling of looking at the ocean early in the morning. It was so sunny today and the sky was so blue; the ocean water was sparkling; like stars floating on it. I looked at the palm trees and the sea grapes and it was just serene. Then I kept on walking to the intra-coastal to absorb another peaceful scenery. The main street in Delray is Atlantic Ave. and that was by next direction. I noticed so many people dressed up in costumes during the day; parents and children. I did not realize that Atlantic Ave. was going to partially close for the Halloween Parade. 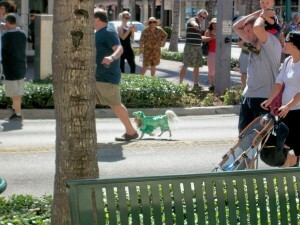 This town loves its parades and festivals more than any other town I have ever been to. The Halloween celebration will continue late into the night when Atlantic Av. will be filled with adult trick or treaters. At the Old School Square Gym, on the corner of Atlantic and Swinton, the Delray Beach Orchid Society is having an exhibit. It is until November 1st, so if you did not know this and are in the area, and an orchid aficionado, it might be fun to check it out. Another exhibit going on until November 8th at the Cornell Museum of Art and American Culture, in the Old School Square, is the celebration of Barbie’s 50th birthday. I used to be a big fan and still have some of the dolls, including Midge. Do you remember her? I don’t know what happened to the Kens, though. I remember Barbie’s convertible; a light peach color. I might have to visit the Museum for all time sake. Along with the Barbie exhibit, and until November 8th, on display at the Museum is Les Petite Maisons which is a collection of 40 hand-crafted miniature houses. I had a good time walking around and taking in the sights. 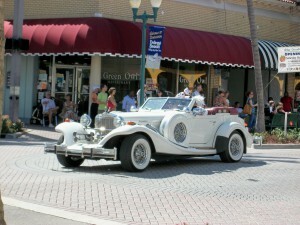 Hope you had a good Saturday….and from Delray Beach, I am writing….see you soon…. Word of mouth. It is the best advertisement. That is how I found out about the Kee Grill. My friend’s mother, Marilyn, once suggested I stayed in the town of Delray Beach. We liked it so much that we have had a place here for years. Then Marilyn’s friend, Flo, who lives in Boca, took Scott, Marilyn’s grandson, to the Kee Grill. Scott, then proceeded to take his mother, Shelley, and I to the restaurant. I liked it so much that my husband and I pay them a visit every time we find ourselves in the area. That’s how word of mouth works. 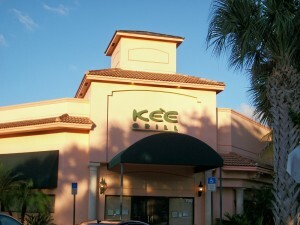 The Kee Grill is located on 17940 North Military Trail, Suite 700, Boca Raton, FL 33496. Tel. 561-995-5044 and Fax 561-995-5024. If you know Military Trail, it is very close to Lynn University; in a strip mall. It does not matter what season it is, it will be crowded. 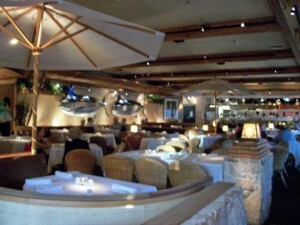 I have gone there plenty of times without a reservation, but to be on the safe side, a reservation should be made. If you get there without one, then by the bar, there will be tables availabe and you might be able to just slide through. 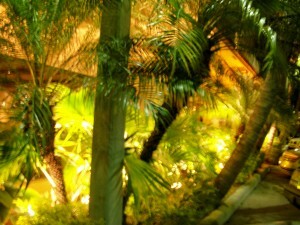 The outside of the restaurant looks best in the evening, once the palm trees are all lit up. Inside it is appealing with an open kitchen. I can tell you that the wait staff is so professional and helpful. Last night, our waitress went to talk to the chef several times to make sure that my husband’s dish was going to be gluten free. And it was. He had the pan seared yellowtail snapper and they changed it a bit by caramelizing onions on top. The Kee Grill has a full bar with plenty of seating. I was glancing through their martini list and a few caught my eye. Being in South Florida how could they not have the following martinis? This restaurant specializes in fresh seafood. I was debating if to order the Oriental Chilean Seabass that had a sesame soy glaze or the Oriental Glazed BBQ Salmon. I had the Seabass and believe me, it was a great choice. For one of my sides I chose their Spinach Maria, which is like creamed spinach and it was served in a crock with broiled crumbs on top. It is, actually, a local favorite. In the past, we have had Tristan Lobster Tails and they are incredible. These lobsters have an amazing sweet succulent taste and a texture like no other. They are from the deep, cold waters of Tristan Da Cunha in the South Atlantic, the most remote inhabited island in the world. The Palm Beach Snapper, which has a Provencale sauce, artichoke hearts, mushrooms, and hearts of palm. Provencale means that it is a thick sauce of tomatoes, garlic and seasonings cooked in olive oil and dry white wine. The Sweet Potato Encrusted Grouper with a mango-remoulade drizzle. The Kee Grill Cioppino. This dish has shrimp, scallops, fresh fish, clams, mussels, lobster, pearl pasta in a spicy seafood broth. Besides the many seaffod entrees, they also have veal rib chop, certified Angus Beef – Strip Steak and Rib-Eye, crab cakes and a lot of other things, including a variety of side dishes, appetizers and salads and of course, the sweet ending desserts. Soooo, now is my word of mouth to you…if you are around South Florida, near Delray Beach, pay them a visit; you will enjoy it. Writing from Delraly Beach, I will talk to you later…. 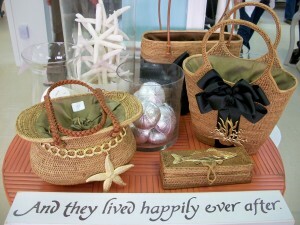 I have mentioned before that by living for many years in the Delaware beaches, I have been a customer to plenty of stores. From the Delaware beaches to Ocean City, Maryland, is a very easy drive, so anyone that lives in this Peninsula drives all over the place with ease. Shop owners have become friends. One of these owners is Judy Demeno. She used to own a very popular womens apparel shop in downtown Lewes; sold it, moved and opened another one in an area called Cool Spring. I wish I could tell you more about Cool Spring, but I can’t. I thought maybe there was a neat story with a spring around the area, but I don’t even know if there is one. Apparently, Cool Spring is acually one of those unincorporated towns in the state of Delaware. 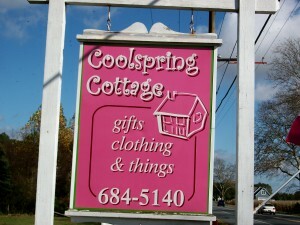 The name of Judy’s store is Coolspring Cottage, 28711 Lewes Georgetown Highway, Milton, DE 19968. Tel. is 302-684-5140 and the fax is 302-684-5160. Even though the address shows that it is in Milton, actually it is closer to Lewes. To be exact it is off of Rt. 1 (Coastal Highway) and Rt. 9. (Lowes is on the corner). About 2 miles from there. 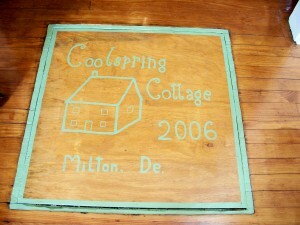 Coolspring Cottage is a farm so it is bigger than you think. 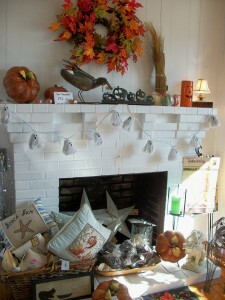 The farm house is filled with accessories for the home with some clothing, as well, like the very popular Life is Good line. The other popular line that has been around for many years is Brighton and Coolspring Cottage has many of their items available to you, including their add-on charms that are so popular now. When I visited the shop they were getting ready to decorate for the holidays. I can’t wait to see it since the whole farm has so much charm; wooden plank floors and fireplaces. Here are some pictures. The back building houses an extensive variety of ladies ready to wear clothing; you know, sweaters, shoes, scarves and jewelry. Judy is very personable and will help you pick the right outfit. She will be honest in telling you if it looks good or not. I say this because sometimes you go to stores and they might say that it looks great and you take it home and wonder what were they thinking. I am sure it has happen to you. Anyway, Judy has great merchandise and you will not be disappointed. I hope you have a great week-end. 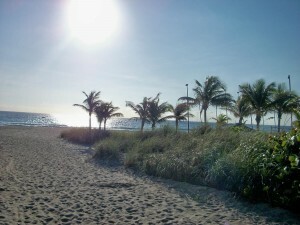 Talk to you soon from Delray Beach, Florida…one of my beaches, as well. Are you wondering why am I writing about this subject? Well, I will tell you why. It seems like every friend that I have is talking about a parent reaching that point in their lives when some of this equipment will make the quality of life easier. My own parents included. I was at the Rehoboth Mall on Rt. 1 and I saw this C.P.S. Medical Equipment & Supplies company and I thought that unless I had seen them there, I probably would not know where to go if I had the need for such equipment. They are, actually, inside the Mall; right where Walmart, Peebles, Michael’s and Tuesday Morning are located. The telephone is 302-226-3311 and the fax is 302-226-3011. 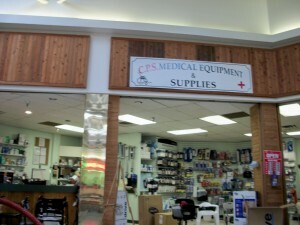 The website is www.cpsmedicalsupply.com. This website is important because it will show you what type of products they have or can get for you; over 15,000. Eventually you will be able to place orders on-line. The e-mail address is cpsmedi@aol.com. A service oriented company, they have been at this location for 2 years. I spoke to William Quirk who is one of the owners. The other one is Andy Herrick but he was not there when I stopped by. 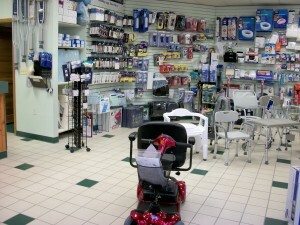 He told me that one of the most important features of this company is that it is approved by Medicare and Medicaid. Approved by all insurances and Tricare approved, as well. I did not know that Tricare is the military insurance. They have local, free delivery all the way to Fenwick Island, Milton and Georgetown. The other areas of the Delmarva Peninsula will have a delivery charge. They will sell, rent and set-up any equipment. Any special orders? Usually they will receive the orders in 24 hours. You need grab bars? They can install them for you, as well. They work closely with hospitals. 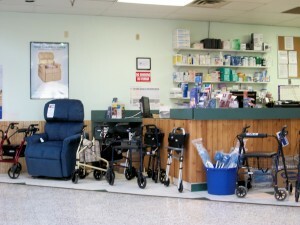 Hopefully, you will not be in a position to need a chair lift or hospital bed when you are on your vacation, but if that happens now you know where to go and who to call. 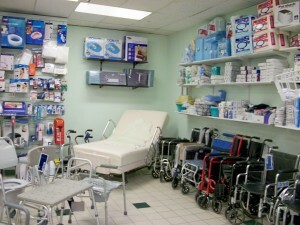 Besides the big medical equipment, they also have regular medical supplies like knee braces, walking canes, bandages, etc. Check their website. It is very informative and you can learn what they are all about. Even though I was planning all along to visit the new location of TaDa in Berlin, this also turned out to be a trip through memory lane. For many years I went to this unique town; practically every day. My children went to school in Berlin for about 10 years. Involved in school activities like fundraising events, was part of my life. How can I forget the many, Christmas Bazaars, Galas, Book Fairs, the Cook Book, 50/50 and tuition raffles? And, of course the carpools for after school activities. All came back on Monday as I was driving into Berlin. It is such a special town. The set for movies shot on this location. And, it is the perfect time of the year to visit and enjoy everything it has to offer. TaDa is the shop that I was aiming for. Patty Falck, owner and artist has owned TaDa for 13 years. She used to be on William Street. 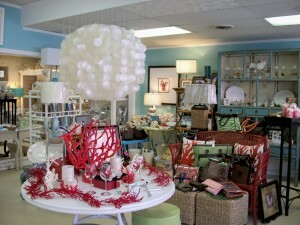 Her daughter, Blair, had the very successful Blair Elizabeth in Rehoboth Beach, Delaware for 3 years. 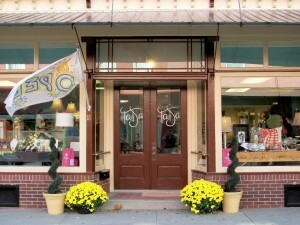 Now, mother and daughter, both talented, have merged and TaDa is in its new location as of last week, on 18 N. Main Street in Berlin, MD 21811. The tel. is 410-641-4430. 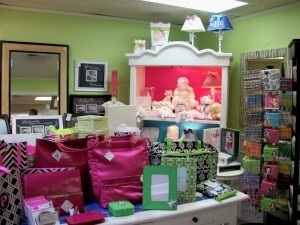 At the moment, if you wish to visit the website, it is www.blairelizabeth.com and e-mail is blair@blairelizabeth.com. It was like homecoming, with familiar faces popping in to wish them the best. 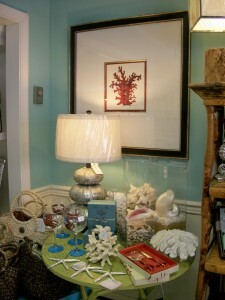 As you enter the store, you will notice calming colors and merchandise displayed just so; classic with clean lines. TaDa has something for everyone. Whether you need a hostess gift, a wedding present, birthdays or looking for that perfect piece to complement a room, or even if you want to indulge a little, I am sure you will find something to catch your eye. As an artist, Patty paints and custom orders are available. Please call her if you have something in mind. Her custom pieces of glassware are beautiful. Blair is not staying behind because her signature jewelry is being received with great reviews. Fantastic colors and stone combinations. A rewarding part of having this type of shop is that you become friends with your customers. It was good to see Patty and Blair chat so comfortably with the new patrons coming in. I think TaDa falls right into the category of the “must stop shop” list. 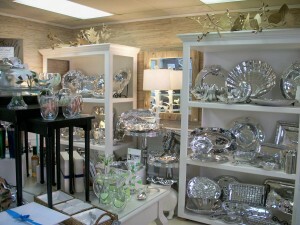 The type of store that takes your breath away!! Note: TaDa will wrap gifts and shipping is available, as well. Just remember that the holidays are around the corner. It is good to take a bit of a break. We have had one event after another. But, don’t get the wrong idea because for November the schedule of events is totally full. Wednesday, October 28th – Bird Walks at Cape Henlopen. 8:00 a.m. until 10:00 a.m. Explore Cape Henlopen’s birding hot spots with seasoned birders and Hawk Watch staff. Bring your binoculars and field guides. Beginner birders are welcome. Please meet at the Seaside Nature Center at 42 Cape Henlopen Drive in Lewes. Tel. 302-645-6852. Remember that a Park entrance fee is collected daily until November 30th. Friday, October 30th – Halloween Mystery Ball: Mischief and Mayhem with Delaware Comedy Theatre. 6:30 p.m. until 9:00 p.m. at Fish On in Lewes. Visit the website for more info. www.delawarecomedytheatre.com. Friday, October 30th and Sunday, November 1st – 100 Years of Broadway, a musical revue of a century of popular show tunes. Presented by Clear Space Productions. In the theater at Cape Henlopen High School, in Lewes. On Friday the performance will be at 7:00 p.m. and on Sunday it will be at 3:00 p.m. $25.00 and $20.00 for senior citizens, $15.00 for students and $5.00 for children 12 and under. For more info. 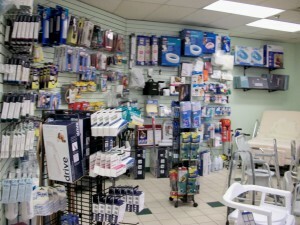 please visit www.clearspaceproductions.org or call 302-644-3810. Saturday, October 31st – Lantern Tours of Fort Miles – 7:00 p.m. until 8:30 p.m. Tour the gun battery by lantern light, exploring nooks and crannies of the dark bunker. Hear about its exciting role during WWII. Limited to 30. $5.00 per adult. $2.50 per child. Fort Miles, located in what is now Cape Henlopen State Park, was a key part of the nation’s coastal defense during and after WWII. 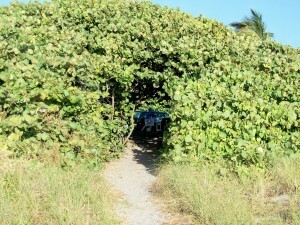 Meet at the Orientation Building and call the Seaside Nature Center, tel. 302-645-6852 to pre-register. Directions: Follow the Fort Miles signs to the Historic Area parking lot. Walk the paved road through the Cantonment Area to the Orientation Building, the last large building on your right. Until Thursday, October 29th – Exhibit – Special “Jazz Festival” Reception with all new original works by Diane Tilghman’s “Sports, “American”, and “Jazz & Blues” series. 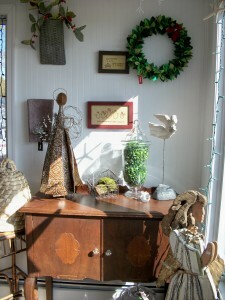 Location is the Philip Morton Gallery, 47 Baltimore Ave., in Rehoboth Beach. Tel. 302-727-0905. Visit the website www.philipmortongallery.com. Until and through Sunday, November 1st – The Members’ Exhibit will feature art work about Farmers’ Markets at the Rehoboth Art League, 12 Dodds Lane in Henlopen Acres in Rehoboth. For more information please call 302-227-8408. Saturday, October 31st – Halloween Spook-Out Party at Northside Park Complex on 125th St. & Bay. Costume contest throughout the event. 1:00 p.m. until 3:00 p.m. Call Chris Clarke at 410-250-0125 for more information on visit the website www.ocsportscamps.com. Beach eateries; don’t you love them? A come as you are type of place; from the beach, the tennis court, golf course, the gym. It really does not matter. If you are living on the coast you know that these beach eateries are dependable institutions. They have been in business for many years and people keep coming to them all the time looking for the foods they are known for. Whether you are at Hodad’s, known for burgers and shakes, on Newport Ave. in Ocean Beach, CA, or at Tommy’s Sub Shop on 28th St. and Coastal Highway in Ocean City, Maryland or Anthony’s, known for over stuffed roast beef and ham sandwiches also in Ocean City, MD, or El Gaucho Burger, whose specialties include media noches and cubanos, besides the burgers, on Ashford Ave., in Puerto Rico, or Ed’s Chicken in Dewey Beach, DE or Loui’s (great pizza and fries) on Rehoboth Ave., you know that you can count on them for the same quality of food that keeps you coming back. One of those eateries is Ocean Side. It is located on Coastal Highway and Virginia Ave. in Fenwick Island, Delaware. They have been in business since 1981 and the tel. in Delaware is 302-539-5388 and from Maryland the tel. is 410-250-2695. 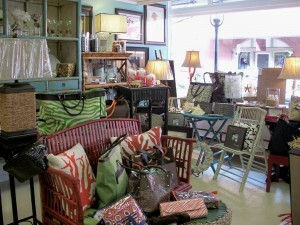 They accept credit cards and are open from 11:00 a.m. until 8:00 p.m. Tuesdays, Wednesdays, Thursdays and Sundays. 11:00 a.m. until 9:00 p.m. on Fridays and Saturdays. The owners, who happen to be there all the time, are Bob and Sue and they have been welcoming patrons for 29 seasons. Originally it was much smaller and some years ago they expanded and a large bar was added, as well as more dining space. They serve beer and wine and televisions are always on so you won’t miss a thing. The smell of pizza, fries, etc. is the first thing that hit you as you come in. It can get quite busy in the height of the summer season. Plenty of people come year-round. Ocean Side is known for a variety of foods. You will have available hot sandwiches and a favorite of a good friend, Ross, is the Chicken Fingers Parmesan. He tells everyone to try it and it has become a local favorite. They also offer cold sandwiches, hot and cold subs and wraps. Cheese Steak is another local favorite. Plenty of side orders and munchies, as well. 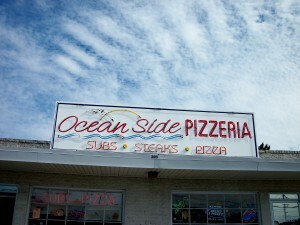 Ocean Side is also very well known for their pizza and strombobbi. Pizza specials are on the menu every day. And, after 5 p.m. the homemade spaghetti and meatballs will be ready. The other day I ordered a Chef’s Salad for carry out and it was very good; they have about 7 other salads besides the one I chose. All in all it is a very popular place. You probably have been there already and know what I am talking about. The parking is easier in the second season vs. the summer. It is located on a strip mall, so it can get crowded, but you will get there. Let me know how you like it because my choices are usually pizza or salad and have not tried a lot of their other offerings. I hope you had a good week-end. I certainly did. Getting together with friends; sharing lots of laughs; perfect! When I travel between Delaware and Baltimore, Maryland I have a few favorite restaurants that I make a point to stop for either lunch, dinner or kick back a little and have some appetizers. This is the time of the year for oysters and I remember when I first moved to Baltimore and went to the famous Lexington Market; my first introduction to oysters. I was not sure if I was going to be able to eat them but, just like I love clams, oysters became a favorite; raw or steamed. Harris Crab House is one of those restaurants I stop all the time. 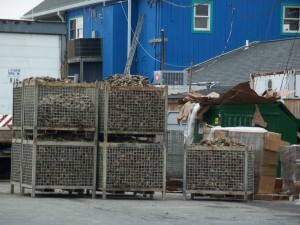 It is a true crab house and seafood restaurant; you can see from the parking lot the oysters being hauled in. Check that picture. The address is Kent Narrows Way, North, Grasonville, Md, 21638. It is Rt. 50/301, exit 42 and follow the signs to Harris Crab House. Their tel. is 410-827-9500 and the fax is 410-827-9057. 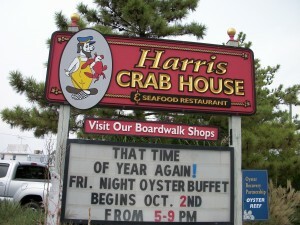 The e-mail address is into@harriscrabhouse.com and the website is www.harriscrabhouse.com. My favorite items on the menu are the jumbo crabs, when available. Those big gigantic crabs are so tasty and easier to pick when they are that big. Other favorites are the oysters and clams. On Friday’s, starting around 5:00 p.m. they offer their all you can eat oysters, cooked or raw, stew, fried, you name it. 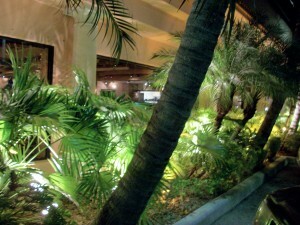 The restaurant has outdoor seating, weather permitting. Right on the water, with great views of waterfowl, and boats going by. The tables are all covered with paper ready to be filled with crabs and other seafood delights. They also have a full menu and bar, as well. Harris Crab House will mail order anywhere in the world. Check their website for all kinds of information, specials, tailgating, and coupons. And, remember, only about 4 minutes from the Chesapeake Bay Bridge. As I mentioned above, this is the time of the year for oysters. I figure maybe a few recipes are in order. I love buying cookbooks and I do make those recipes my own. Sometimes I doctor the recipe a little or just leave the way it is. One book that I have had for a long time is Private Collections: A Culinary Treasure by the Women’s Committe of the Walters Art Gallery. Last printing was in 1979. The Walters Art Gallery is now known as the Walters Art Museum. It is located on 600 N. Charles St., Baltimore. Tel. 410-547-9000. Website is www.thewalters.org. It is open Wednesdays – Sundays from 10:00 a.m. until 5:00 p.m. In case you do not know this museum, The Walters Art Museum is internationally renowned for its art. It was a gift to the city of Baltimore by William (the father) and Henry Walters (the son), who had artistic interests and public mindness. Today, the art collection has more than 28,000 objects. Please visit the website for on-going and future exhitibits. Peel and boil the potatoes in salted water. Drain and mash them in a soup kettle. Dice the bacon in small pieces and fry it in a skillet over moderate heat. Remove it to a plate and add milk to the frying pan to scald it. Remove from heat. Add the milk to the mashed potatoes gradually. Add thyme, bay leaf, and parsley and heat to boiling point, but do not let it boil or it will curdle. Remove bay leaf and add the oysters and their liquid, butter, salt and pepper to taste. Garnish with the fried bacon. Toasted bread will be a great addition. Drain the oysters, reserving 1/4 cup of the oyster liquor. Cook the rice according to the package directions, to the moist stage. In a buttered casserole arrange 1/3 of the rice. Lay half the oysters on top, sprinkle with some salt and pepper, if you want, paprika, and 1/3 of the cheese. Then repeat the process ending with a layer of the rice and cheese. Spoon the oyster juice over it. Top with bread crumbs, butter, and remaining cheese. Refrigerate for half a day, then bake for 20 minutes on a 400 degree oven. Drain the oysters and pat them dry. Then dip them, one at a time, first in pancake flour, then into the beaten egg, and finally in the cornflake crumbs. Pat them again gently and set aside. When ready to serve, heat the oil, and fry the oysters at medium heat, no more than 8 at a time, until brown on each side. Drain them on paper towels and keep them warm until the oysters have been fried. You can serve these as an appetizer, over a salad or as a dinner with a salad and vegetable. Enjoy and see you sooon….. Note: Information on the Walters Art Museum was taken f rom www.thewalters.org.